Gun control is a rather controversial topic amongst US politics as many people tend to flock to one specific side of the political argument. Many of these debates start after a tragedy, such as the San Bernardino school shooting, because it makes people feel at risk in the places they thought are the safest. Recently, the NRA has filed multiple lawsuits against the new California gun laws that gun-rights activists claim is infringing on their Second Amendment rights. These new gun laws were enacted under California’s expanded Assault Weapons Control Act. In this article, I am going to analyze political arguments from the left and later provide my thoughts on the matter. The Assault Weapons Control Act (AWCA) has multiple guidelines that have upset pro-gun groups which led to the lawsuit filed by the NRA. 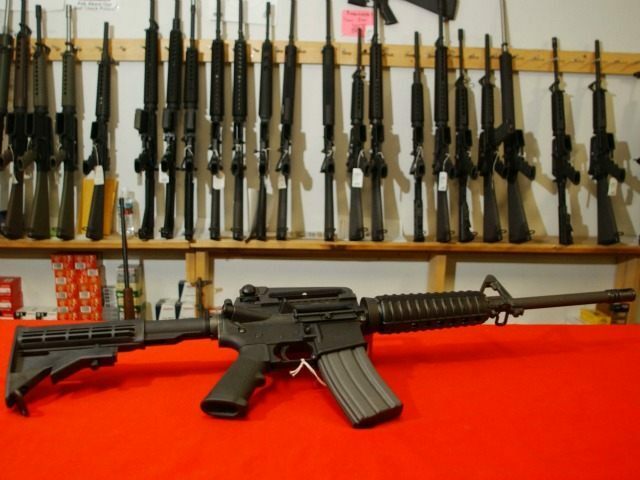 The act states that any defined “assault weapon” is illegal to sell, manufacture, or transport. California’s definition of an “assault weapon” is a gun that does not possess a fixed magazine, where the user must disassemble to firearm to reload, or contains a “bullet button,” a tool that allows the user to extract the magazine from the firearm with ease, according to the Penal Code section 30900(b)(1). The act then states that any of these weapons aquired between January 1, 2001 and December 31, 2016 must be registered as an assault weapon before January 1, 2018. It is then stated that the owner of the firearm must create an account California Firearms Application Reporting System (CFARS), requiring each applicant to divulge a large amount of personal information. The applicant must also provide multiple statistics about their firearm, ranging from the model all the way to its color, according to Bearing Arms. The AWCA also says that the firearm may only be shared with direct family members that are registered under the original applicant’s account. Those who violate these provisions will be in direct violation of the law. 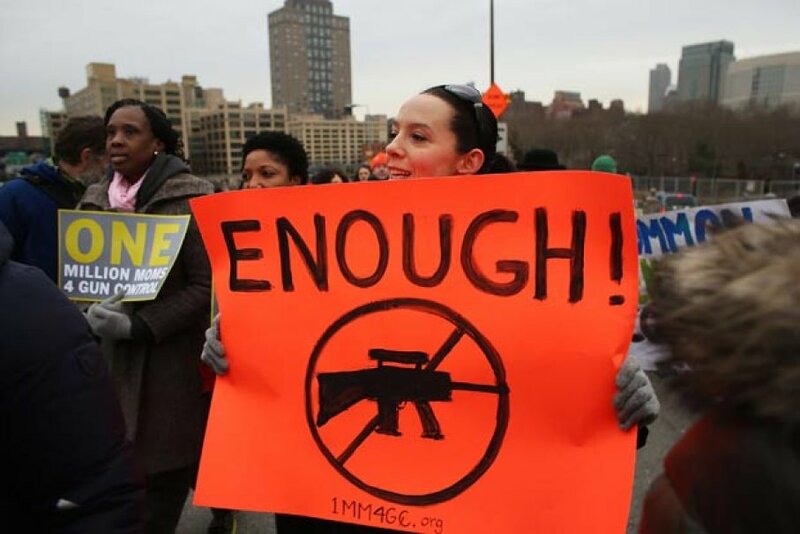 Many journalists amongst the left are in favor of the expanded Assault Weapons Control Act, believing that these new laws will reduce the risk of gun violence and be a step in the right direction. A journalist by the name of Bob Cesca from the Salon published an article shortly after the San Bernardino incident titled “When is the NRA complicit? San Bernardino school shooting comes after Republicans move to relax gun restrictions,” giving his opinion on gun control. Cesca wrote that firearms “are designed for one purpose and one purpose alone: to inflict harm or death upon living organisms — too often human beings.” In my opinion, this is an unfair overgeneralization of guns as there are many activities where people use guns, such as shooting competitions. Cesca also mentioned Obama’s now overturned National Instant Criminal Background Check Improvement Amendments Act of 2007 and talked about how the NRA opposed it even though it contained a database for the mentally ill, which could’ve prevented 75,000 mentally ill people from acquiring a firearm, according to Media Matters and The New American. The NRA has been requesting this type of database as they believe mental illness is a large cause in mass shootings so, at first glance, them opposing Obama’s act seems hypocritical. Cesca then said that the reason the NRA and other Republicans didn’t support the act is because it “was authorized by a black president with a funny name.” Their reasoning, however, is that “‘it results in reporting people to the gun ban list that should not be on that list at all,’” according to Senator Grassley on Newsweek. 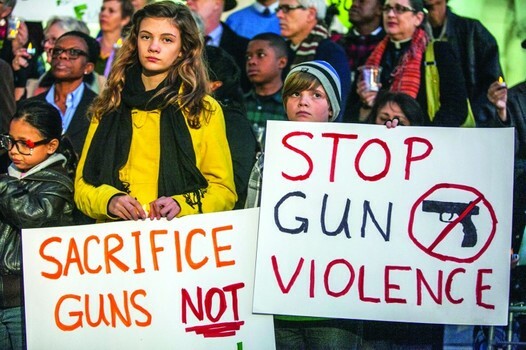 Cesca’s article also highlighted a common argument made by conservatives where they say that like guns, vehicles can also be used for destruction, claiming that banning guns wouldn’t solve the problem. Cesca called this a case of false equivalence but in my eyes this claim is flawed. If you recall the Berlin attack that happened in December of 2016 where a truck was driven into a crowd of people, claiming the lives of twelve people and injuring 56 others. This supports the fact that almost anything can be used as a tool for destruction if it’s backed with the intent to harm others, as we’ve seen with guns and, in this case, a truck. Another article I came across was from Yahoo News titled “Gabby Giffords on San Bernardino school shooting: Events like this are no longer ‘unimaginable,’” where they summarized a statement made by gun control activist Gabby Giffords. Her statement after the San Bernardino school shooting said “It’s time that all Americans have the courage to truly fight this crisis by standing up and demanding the smart gun laws we know save lives.” I didn’t exactly know what her “smart gun laws” and I felt that it would be unfair to comment on this quote without seeing her definition of these laws. According to OnTheIssues, Giffords supports the ban or sale of semi-automatic weapons (with the exclusion of ones used to hunt), concealed and carry except in places such as police stations, courthouses, schools, etc. and supports background checks at gun shows as well as safety locks for firearms when not in use. I fully support the idea of background checks in any transaction of a firearm and I don’t think that a weapon should ever be concealed in the places that they mention, but I don’t support the idea of banning certain semi-automatic guns. But does this mean a criminal would follow these laws? 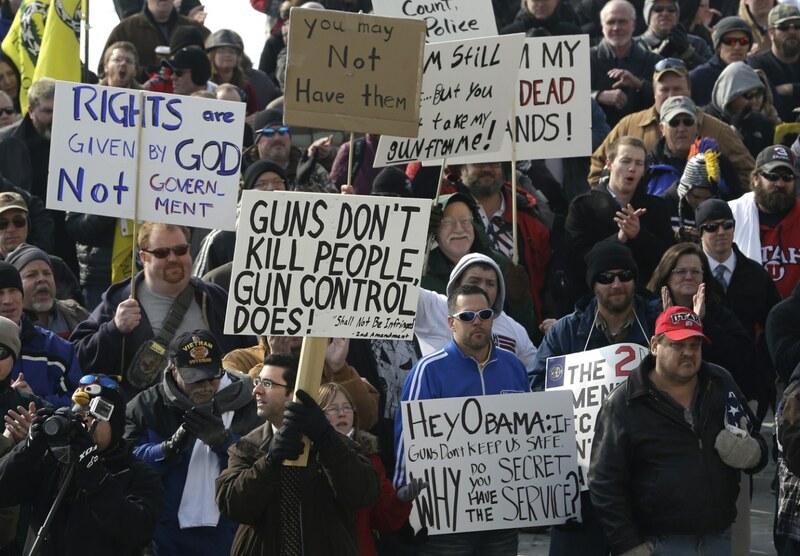 Especially the one requiring their gun to be visible when at certain places? I don’t believe so. In my opinion, I think that schools should have metal-detectors, as this most likely could’ve prevented the San Bernardino school shooter from stealthily bringing a revolver into a classroom. A school should also have armed security as this is an effective deterrent against any attacker and it allows for a quick reaction force when a threat is present. Reflecting back on the Rodney King riots that took place in 1992, there was a Korean store that wasn’t burned because the shop owners were on the roof with guns and this scared rioters away from attacking the place, as seen on a CNN article. In other words, people don’t want to mess with you when you have the tools to protect yourself. I also don’t think banning certain weapons will make a positive effect on gun violence because of the results of the 1994 Assault Weapons Ban. The ban lasted up to 2004 and a study conducted by Christopher Koper, quoted on Fact Check, said “Although the ban has been successful in reducing crimes with assault weapons, any benefits from this reduction are likely to have been outweighed by steady or rising use of non-banned semiautomatics with large-capacity magazines.” Koper continued and said “we concluded that the ban had not had a discernible impact on gun crime during the years it was in effect.” As the 1994 ban did not have a noticeable effect on the overall gun violence rate, I don’t believe a second ban would do any different. Returning back to the expanded Assault Weapons Control Act, I disagree with the idea that this would help reduce the gun violence rate as it merely just makes law-abiding citizens jump through further hoops for owning a gun. Banning guns won’t solve the issue either; this will lead to an increase of illegally purchased firearms on platforms such as the Black Market. Thinking back to the Prohibition era of the 1920s, when alcohol was banned, illegal bars began to surface across the country, and the federal government lost an estimated $11 billion in tax revenue, according to PBS. An article from NBC News says that currently the firearms industry makes up $42.9 billion of the economy and has 263,223 full-time jobs. Some countries like Ireland, which banned firearms in 1972, had a significant spike in murders, as seen on Crime Research Prevention Center. All in all, I stand by my belief that further gun control may have an overall negative affect on the United States, judging by facts and history.